LONDON: 22 MAY 2013 - ECR Minerals plc is pleased to announce the placing (the “Placing”) of 400,000,000 new ordinary shares of 0.1p each at a placing price of 0.1p each (the “Placing Shares”) to raise £400,000 before expenses. Additionally, the Company is issuing 157,473,000 new ordinary shares at a price of 0.1p to creditors of ECR to settle certain existing and future obligations of the Company (the “Conversion Shares”) totalling £157,473. Of these Conversion Shares, 114,904,000 new ordinary shares are being issued to YA Global Master SPV Ltd (“YA”) in settlement of repayments due to YA in May and June 2013 pursuant to the loan of US$1 million received from YA in August 2012. Finally, the Company is issuing a total of 46,663,200 new ordinary shares at a price of 0.1p each to the directors of ECR in lieu of unpaid fees totalling £46,663.20 accrued since late 2012 (the “Director Shares”). The Placing Shares, Conversion Shares and Director Shares together total 604,136,200 new ordinary shares, representing 35.07% of the Company’s enlarged ordinary share capital. “The proceeds of the Placing allow ECR to continue aggressively reshaping its business. Funding market conditions remain torridly difficult for junior mineral companies, and it is clear that any such company aiming to succeed must be creative in the way that it goes about sourcing and deploying capital. Accordingly, the Company hopes to use the promising exploration opportunity provided by the Itogon gold-silver project in the Philippines and the scope for consolidation in the vicinity of the project to attract a strategic investor who will take a positive long term view on the potential for ECR to generate value for shareholders. The net proceeds of the Placing will provide funding for ECR until 31 July 2013. Further funding is expected to be available to the Company through the sale of shares in THEMAC Resources Group Ltd (TSX-V: MAC) (“THEMAC”). The Company will also seek to obtain cash or tradeable securities as part of any transaction that may be agreed with respect to the Sierra de las Minas project in Argentina. As of the close of trading on the TSX-V on 17 May 2013, ECR held approximately 18.5% of THEMAC’s issued share capital, and this holding had a value of around C$1.68 million based on the mid market closing price of THEMAC shares on that date of C$0.1225. 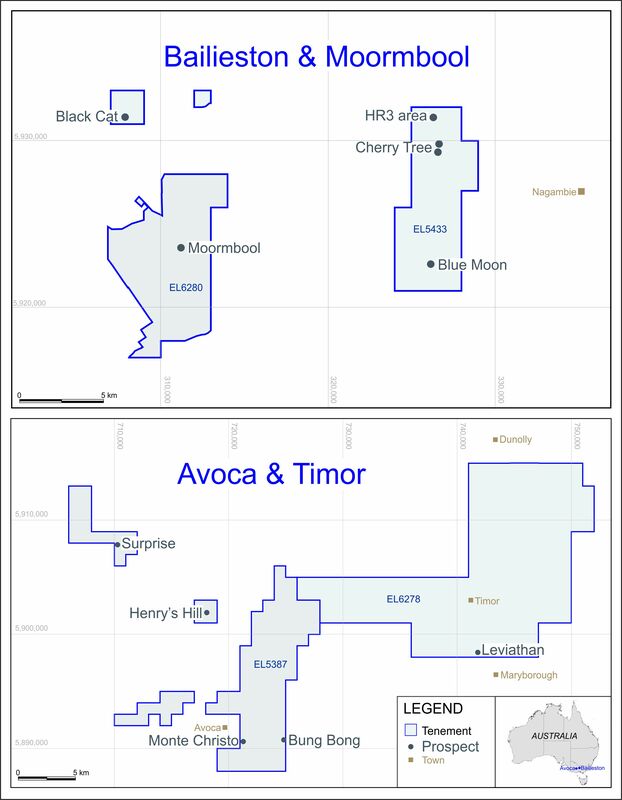 The Company also holds 10.5 million share purchase warrants of THEMAC exercisable at C$0.28 per share until 4 March 2016, giving ECR a fully diluted interest in the share capital of THEMAC of approximately 18.5% as of the close of trading on the TSX-V on 17 May 2013. Whilst there can be no certainty as to the future liquidity of THEMAC shares, or as to the price at which any sales may be achieved, ECR has already completed some sales of THEMAC shares. Pursuant to this announcement, application has been made for the Placing Shares, Conversion Shares and Director Shares, totalling 604,136,200 new ordinary shares, to be admitted to trading on AIM. Dealings are expected to commence on 28 May 2013. Following admission, the Company’s issued ordinary share capital will consist of 1,722,759,751 ordinary shares. The new ordinary shares will rank pari passu in all respects with the ordinary shares of the Company currently traded on AIM. The total of 1,722,759,751 ordinary shares may therefore be used by shareholders in the Company as the denominator for the calculations by which they will determine if they are required to notify their interest in, or a change in their interest in, the share capital of the Company under the FCA’s Disclosure and Transparency Rules. ECR is a mineral development company with, among other interests, the right to earn a 50% interest in the Itogon gold-silver project in the Philippines; 100% ownership of the Sierra de las Minas gold project in La Rioja Province, Argentina; and a substantial minority stake in THEMAC Resources Group Ltd (TSX-V: MAC), which is focused on the development of the Copper Flat copper-molybdenum-gold-silver porphyry project in New Mexico, USA.